If you are very hungry in the morning, you may want to gallop at full speed downstairs to the kitchen. 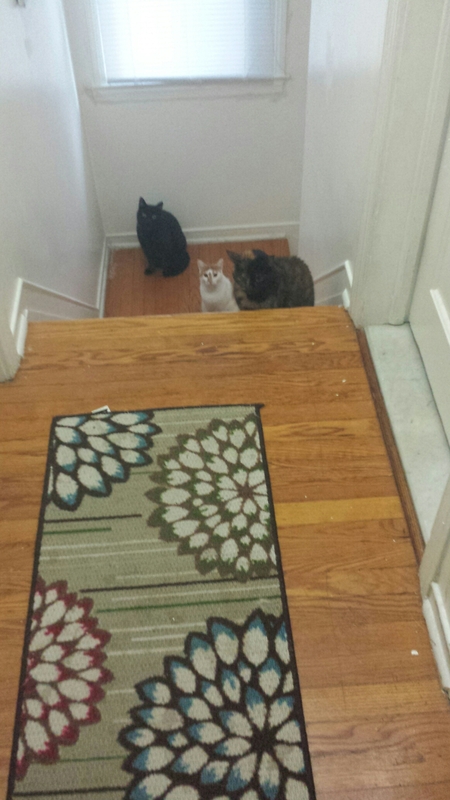 It is, however, better to wait on the landing and stare at your human. There’s no point in arriving in the kitchen without an opposable thumbed human in tow.